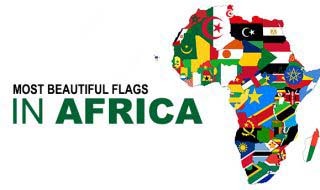 North Africa is the northernmost region of the African continent. The largest ethnic groups in North Africa are the Egyptians, Arabs and the Berber tribes. North Africa is predominantly Muslim. Desert has been the dominant factor in the North African environment. Here is a brief introduction to the seven North African Countries. Algeria covers 2,381,741 sq km. Around 90 percent of the nation is desert. Algeria is an authoritarian regime. Its economy is largely based on hydrocarbons. 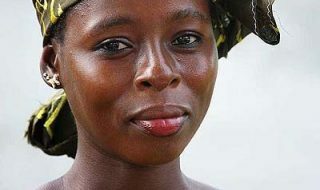 It has the second largest reserves of oil in the African continent. Algeria has the largest defense budget in Africa. 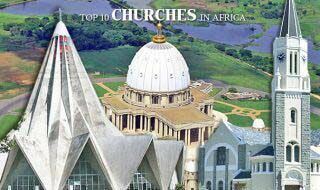 It is the largest country in Africa. Egypt is an Afro-Asiatic transcontinental country. 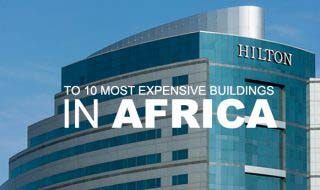 It covers 1,010,000 sq km. Most of the country’s territory lies within the Nile Valley. 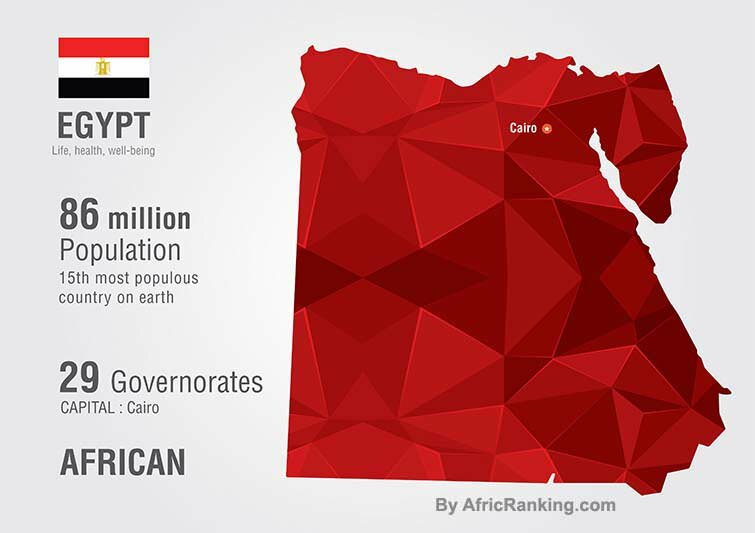 More than 87 million people live in Egypt. It is the largest country in North Africa and the Arab World. Egypt’s legal system is based on Islamic and civil law. Its economy depends on agriculture, media, natural gas and tourism. Libya covers almost 1.8 million sq km. Currently the nation is affected by civil war. Libya’s economy depends up on revenue from the oil sector, which accounts for 80 percent of GDP and 97 percent of exports. 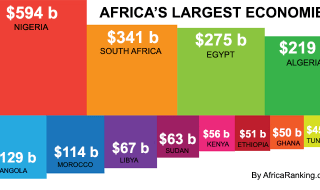 The nation holds the largest proven oil reserves in Africa. Morocco is the only nation in Africa to have both Atlantic and Mediterranean coastlines. 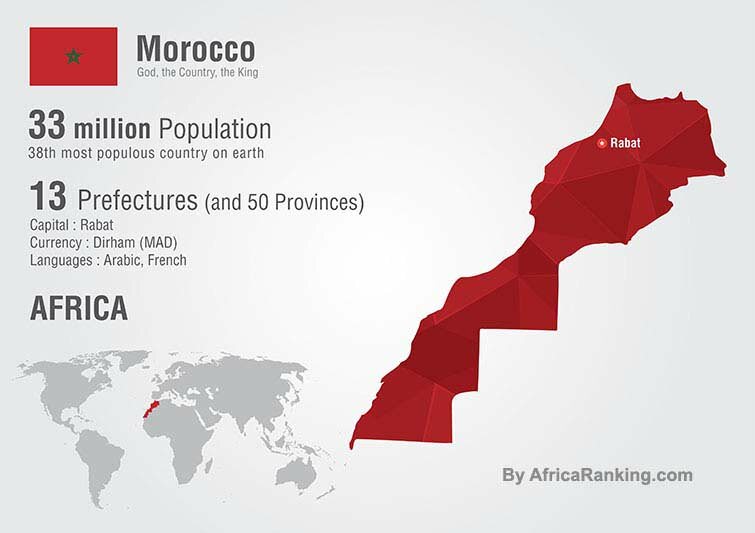 More than 33 million people live in Morocco, which covers an area of 446,550 sq km. 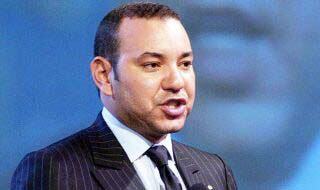 Morocco is a constitutional monarchy, with an elected parliament. The nation’s predominant religion is Islam. The nation has a relatively liberal economy. 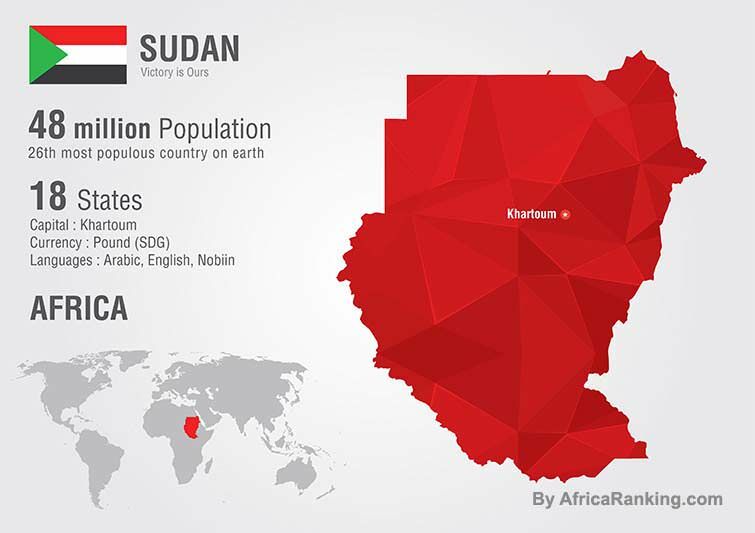 Sudan covers 1,886,068 sq km. Today, the country is widely recognized as an authoritarian state, whose legal system is based on Islamic Sharia law. Stoning is still a legal form of judicial punishment in Sudan. 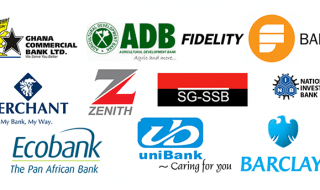 It is one of the fast growing economies in the world. Tunisia is located on the Mediterranean coast of North Africa. The nation is a constitutional republic. 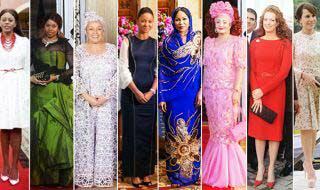 The president is the head of state and the prime minister is the head of government. The nation’s legal system is influenced by French civil law. Tunisia is an export-oriented country. Western Sahara is a disputed territory, which covers around 266,000 sq km. 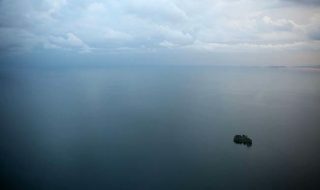 It is one of the most sparsely populated territories in the world. The population is just over 500,000. Its economy is based on fishing and phosphate mining. The Sudan is not a North African country. It is part of the Arab League but not of North Africa. On the other hand, Mauritania, of which you are not speaking, is part of the regional political-economic “Arab Maghreb” which is not part of Egypt, which proves that Egypt is not considered part of the ” North Africa. In fact, North Africa comprises only four countries: Algeria, the largest and most populated country, Morocco, Tunisia and Libya. The Algerian political regime is not an authoritarian country, It is a country of presidential regime. Precisions, you need to be more precise clown. Is not Egypt on the continent of Africa. Exactly Haha! I am Egyptian myself and class myself North African! Masr um al dunya! Saying Egypt isnt a North African country is like saying Apples isnt a fruit. Where did u get educated? clearly your knowledge is weak. First off, Egypt is an african country and are africans and Sudan is north african too. Egypt and sudan hold very tight dna and genetics to this day. South sudan could arguably not be northern africa due to it southern location but still in terms of its DNA, there very similar with egypt. Please update your information. First, languages in Morocco are as follow: Arabic and Tamazight are national languages. French is a foreign language, to name a few!!! These are strange comments. I am of Egyptian ancestry, but when I encounter someone who calls themselves “North African” they are MOST OFTEN from Libya or Morocco. When I meet someone from Egyptian, they call themselves Egyptian. When I meet someone from Sudan, they call themselves Sudanese. I wonder is there so much genetic interchange between the people of Tunisia, Morocco, Libya, Algeria, or the Western Sahara that their country of birth is not an issue. 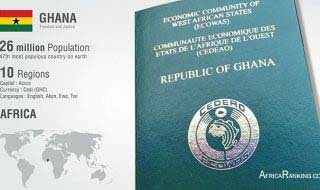 Perhaps North African is a label imposes by Europeans that is accepted by those who leave the northern area of the African continent. I don’t know, but it would be much easier if individuals from that part of the world would refer to themselves as the Egyptians and Sudanese people do.